Combine Brown Sugar, Dry Mustard, Onion Powder, Salt and Pepper in a small bowl. 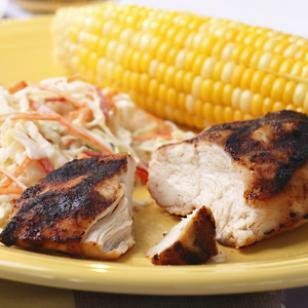 Coat both sides of the chicken with the rub up to 30 minutes before you grill or broil. Grill or broil according to normal cooking times and temperatures.